We live in a world where everyone wants their stuff fast, and preferably free when it comes to postage. I’m no different and because of this I’ve created AE Gold which I think you, as a newsletter subscriber will be interested in. It’s a really simple set up. 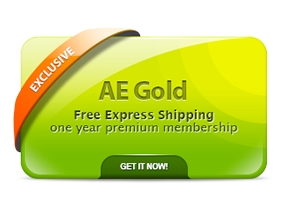 If you are interested in AE Gold and want FREE EXPRESS delivery for a whole year, click here.